You wish to place your product in the marketplace? You wish to have a presence at exhibitions? Your showroom needs redesigning? You are thinking about a campaign? We provide strategic advice and develop precisely targeted advertising for your brand. The inspiring dialogue between companies and markets is conducted through brands. We ensure relevant and salient positioning of your product or service. This brings your brand to life, making it successful. 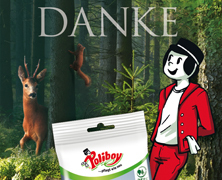 As part of a Germany-wide advertising campaign promoting the topic of value preservation in the sense of sustainability, a concrete, catchy address and visual realisation has been created for Poliboy: “THANK YOU — Mother Nature says thanks to Poliboy”. Focused, likeable, and attention-grabbing. It’s always nice to be recommended by someone, particularly when this also leads to an order being placed. 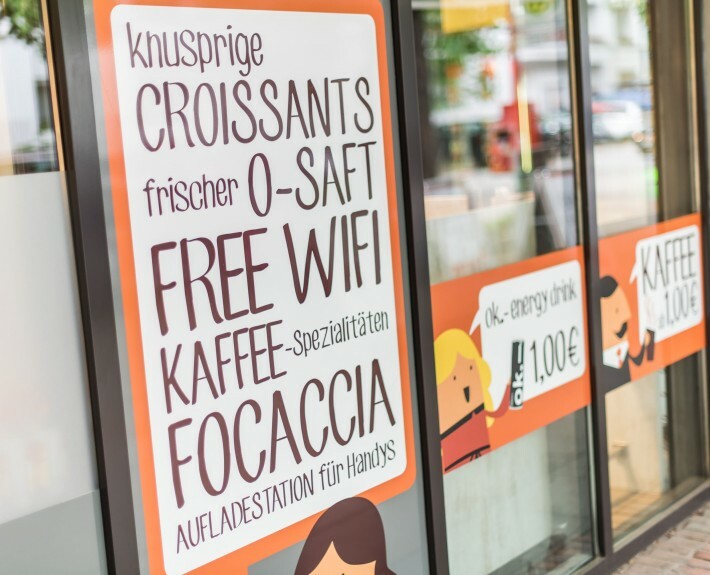 The call from Valora Holding Germany in Hamburg in the winter of 2014 developed into a relaunch project for the U-Store franchise brand in which we once again had the opportunity to create brand worlds in a greater context. 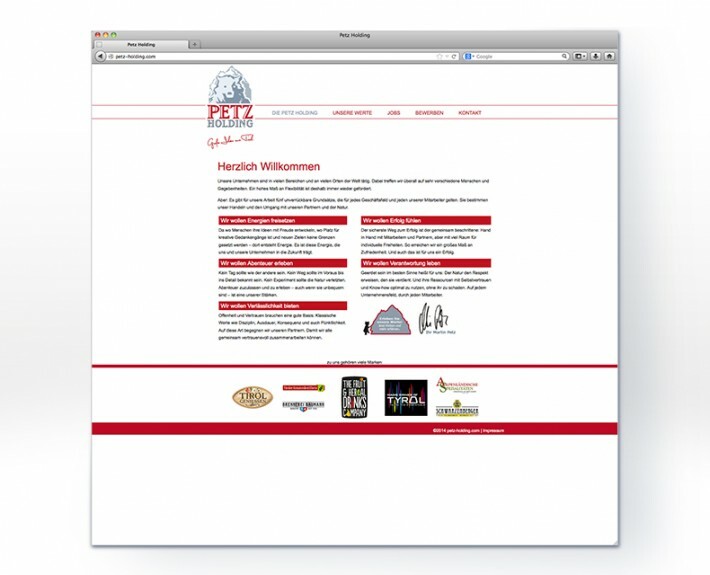 The Baumann and Schwarzenberger distilleries are part of the Petz Holding Group. 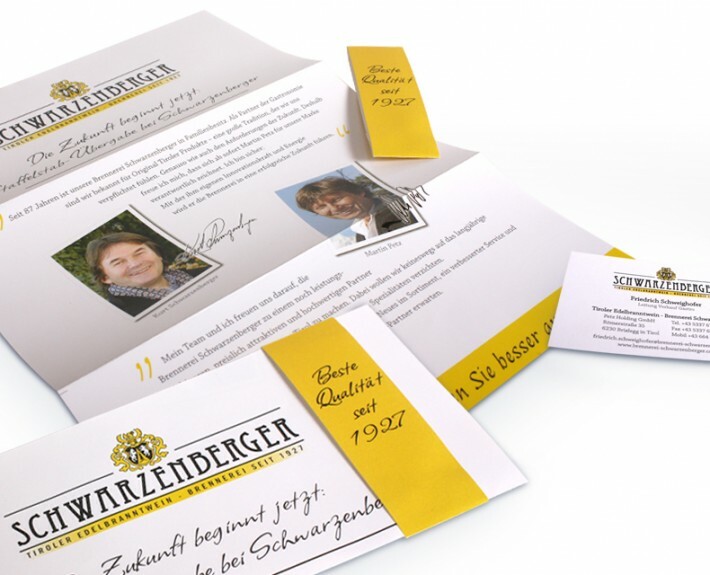 The Chief Executive Martin Petz and his capable and passionate team have recognised the inestimable value of the resources of the Schwarzenberger distillery. 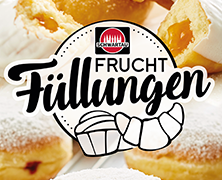 Its own products are distilled from pure Tyrolean ingredients. The traditional recipes and the many years’ expertise of the well established workforce are valued and nurtured. The Menori Design brand agency was tasked with developing the trademarks. 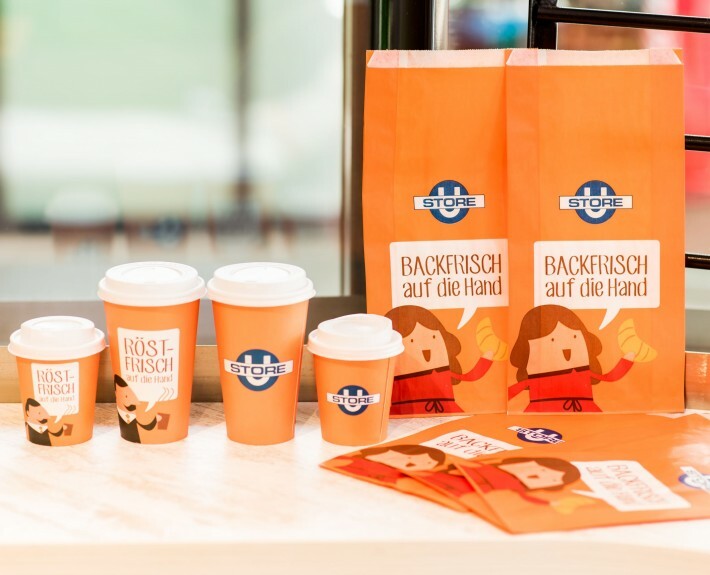 The focus was on revitalising the authentic Austrian brands already deeply rooted in the region. Menori Design developed a new brand identity for the traditional Schwarzenberger Distillery in the form of a classic emblem with royal logo and initials, surrounded by decorative features. The classic design solution created a basis for a credible media presence for the traditional distillery. The aesthetic trademark has the potential to form the stylistic centrepiece of a unique packaging. 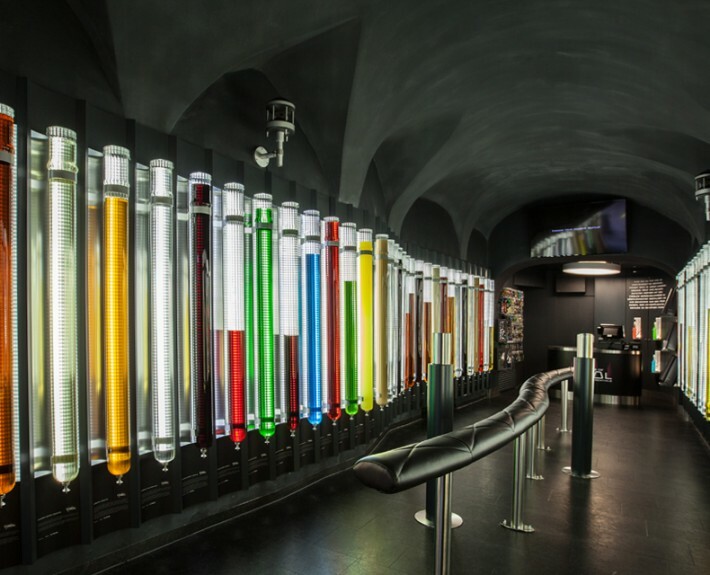 “Magic Drinks of Tyrol ” are fine spirits made of high-quality ingredients relating to the Tyrol region. 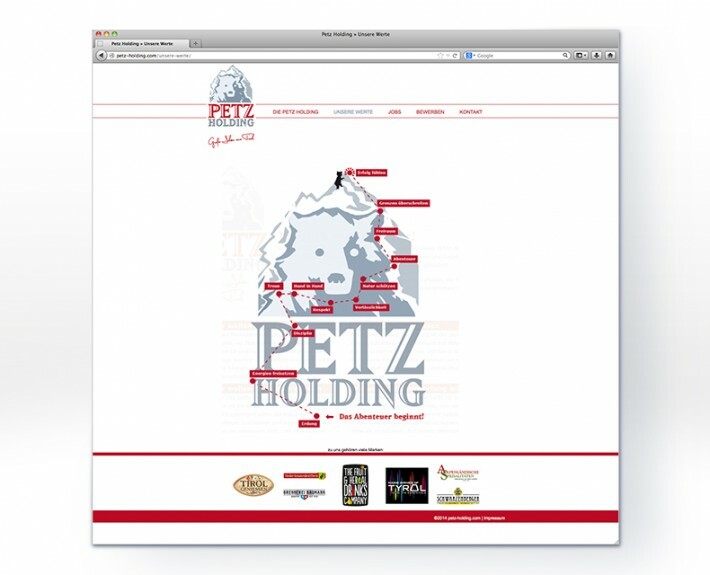 The brand also originates from the traditional Petz Holding Group. The brand agency Menori Design created a modern visual interpretation of the regional product affinity, combined with an “outside the box” perspective. The stylistic brand identity with an artificial character deliberately distances itself from the Alpine cliché in the foreground. Menori Design creates a dramatic brand staging for the point of sale. Huge, indirectly lit glass phials as product containers dominate the interior design setting. Sampling the high-quality spirits becomes an experience. With its unique staging, the brand agency Menori Design gives the product the special magic that the brand-name promises. The special brand character paves the way to bring the “product with provenance” to an international market. 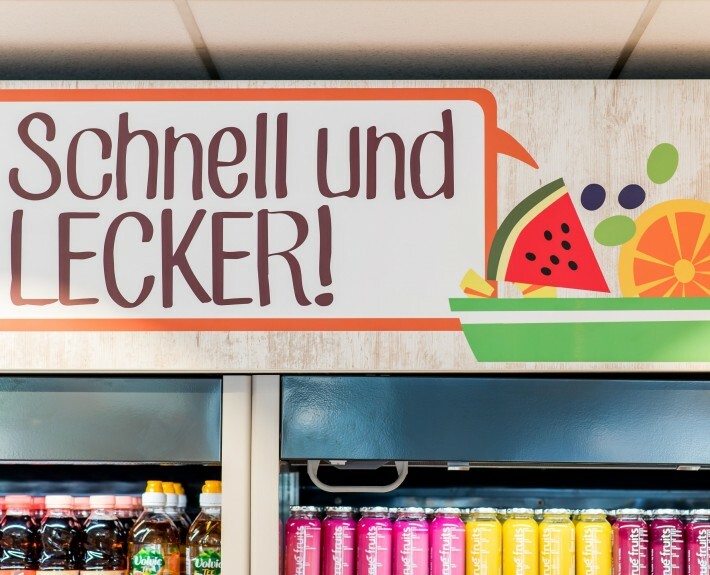 Petz Holding has a strong association with the Tyrol region. The founder and Chief Executive Martin Petz embodies the traditional style of management with heart and soul, pursuing a sustainable approach. 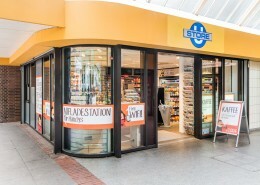 A number of brands, some with local connections with the region, come together under the corporate umbrella of Petz Holdings. Menori Design created a targeted visual interpretation of the company attributes in the form of a logo. The integral component of the design is the bear (Austrian for Petz). In their design, Menori Design let the bears blend in with the Tyrolean mountain silhouette in the background. 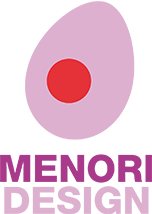 This creates a succinct trademark with symbolic content: company attributes such as strength, size and reliability are aptly conveyed here at a visual level. The visual interpretation of the company’s attributes is projected in a “values tree”. The sophisticated illustration cogently reflects further important pillars of the corporate philosophy by means of the new imagery created.